Genetically engineered (GE) crops are no different from conventional crops in terms of their risks to human health and the environment, according to a report published in May 2016 by the U.S. National Academies of Sciences, Engineering, and Medicine. Leland Glenna, associate professor of rural sociology and science, technology and society in Penn State's College of Agricultural Sciences, served on the committee that authored the report. "The study committee found no substantiated evidence of a difference in risks to human health between currently commercialized GE crops—specifically soybean, maize and cotton—and conventionally bred crops, nor did it find conclusive cause-and-effect evidence of environmental problems from the GE crops," said Glenna. "These findings should not be interpreted to mean that there are not still many challenges related to both conventional and GE crops, just that currently available GE crops and conventional crops are not different in terms of their risks to human health and the environment." Glenna, a sociologist who studies how social institutions influence scientific research agendas and who, for the past 15 years, has studied the social impacts of agricultural science and technology, noted that GE crops commonly are portrayed either as the solution to social and economic problems or as the cause of them. "GE crops are also commonly presented as though there are only two sides to this debate: either you are for them or against them," he said. "But new technologies bring both promises and perils; what seems promising to some might seem perilous to others. "However, there is still insufficient research to make conclusive statements on the social and economic impacts of GE crop technologies. I hope that those who read and discuss this report do not shoehorn it into the existing paradigm but, instead, recognize the complexity and nuances of GE crops." 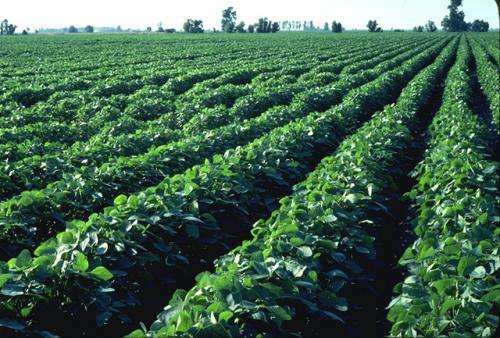 The researchers used data published during the last two decades from more than 900 research and other publications to evaluate the positive and negative effects of GE crops—crops that have been engineered to resist insects or herbicides. The scientists also heard from 80 diverse speakers and read more than 700 comments from members of the public to expand their understanding of GE crop issues. Nearly 180 million hectares of GE crops were planted globally in 2015, roughly 12 percent of the world's planted cropland that year. According to the report, Bt crops, those that contain an insect-resistant gene from the soil bacterium Bacillus thuringiensis, comprise a large segment of GE cropland. The researchers found that from 1996 to 2015, the use of Bt maize and cotton contributed to a reduction in synthetic insecticide use and in crop losses. Some pest-insect populations dropped; however, insect biodiversity increased overall. Insect resistance to Bt proteins was slow to develop only when the crops produced a dose of Bt protein that was large enough to kill insects. Damaging levels of resistance did evolve in some species when resistance-management strategies were not followed. The team found that the use of herbicide-resistant (glyphosate-resistant) crops contributed to greater crop yield by reducing weed pressure. When such crops first were adopted, total kilograms of herbicide applied per hectare of crop per year declined, although the decreases generally have not been sustained. Some weed species have evolved resistance to glyphosate; however, the team noted that delaying such resistance is possible with integrated weed management. To examine the human health effects of GE crops and foods, the team examined animal experimental studies and found a lack of evidence that animals are harmed by eating foods derived from GE crops. "Many people are concerned that consuming GE foods may cause cancer, obesity and disorders such as autism spectrum and allergies," Glenna said. "However, the committee examined epidemiological datasets over time from the United States and Canada, where GE food has been consumed since the late 1990s, and similar datasets from the United Kingdom and western Europe, where GE food is not widely consumed. We found no differences among countries in specific health problems." The team also found that economic outcomes of GE crops have been favorable for most producers who have adopted these crops. However, the cost of GE seed may limit the adoption of GE crops by smaller, resource-poor farm holders. Furthermore, economic benefits tend to accrue for early adopters. The team concluded that enduring and widespread use of GE crops will depend on institutional support and access to profitable local and global markets.